I visited Villa Aminta for the first time in 2014 as we were building our initial Collection in Italy. This past fall I was finally able to stay and really explore the region. While most Americans opt for Lake Como, there are many things we love about Lake Maggiore as well. 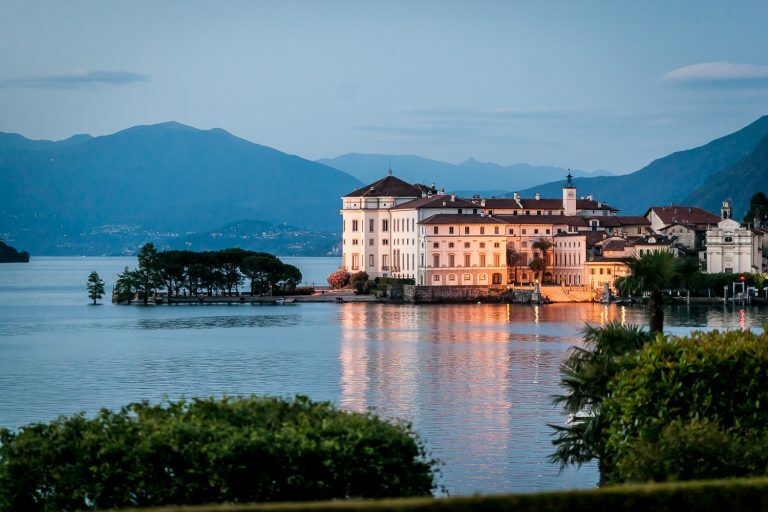 Each of Italy’s northern lakes has their own unique characteristics. What makes Lake Maggiore stand out the most for me is the amazing amount of light the lake receives and the Borromean Islands. Because Lake Maggiore is so wide, this lake gets so much daylight even while being surrounded by mountains. 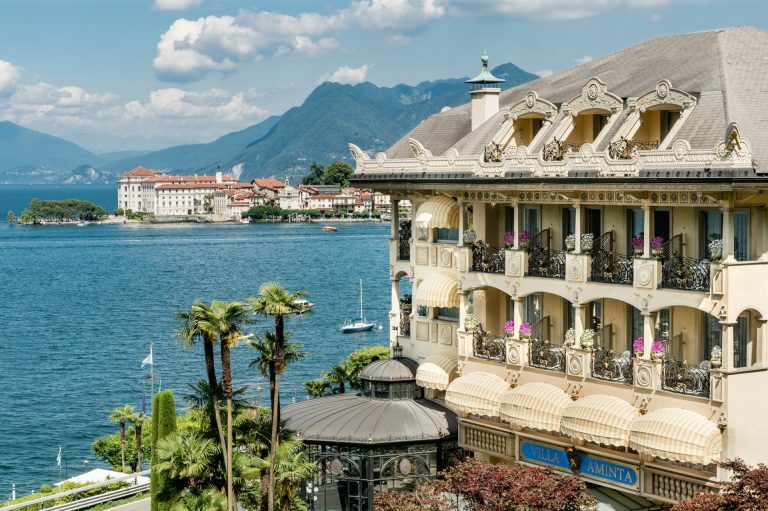 The Borromean Islands are a group of three islands – each very different from the other – that are historic, architecturally interesting and easy to explore from the shore. Villa Aminta also offers amazing value in comparison to similar options located on the popular Lake Como. 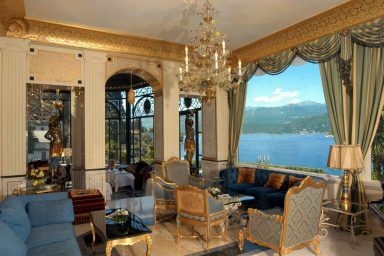 Villa Aminta is located on the western shore of Lake Maggiore near the town of Stresa, a wonderful town to stroll. This luxury 5-star hotel overlooks the Borromean Islands and really offers one of my favorite views in Italy. 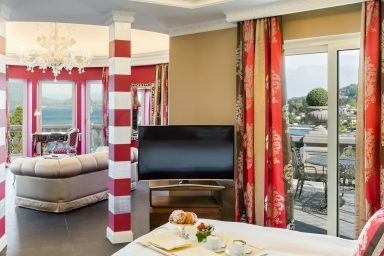 Villa Aminta attracts many Europeans and Americans seeking more off-the-beaten-path experiences in Italy. 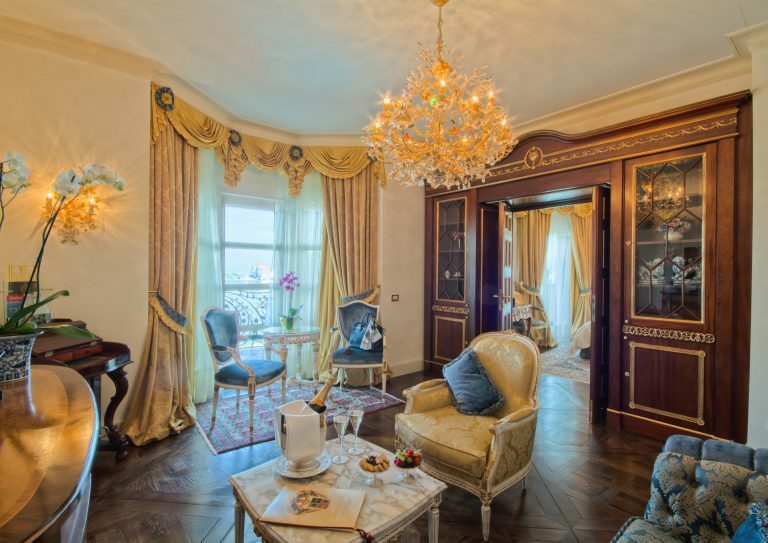 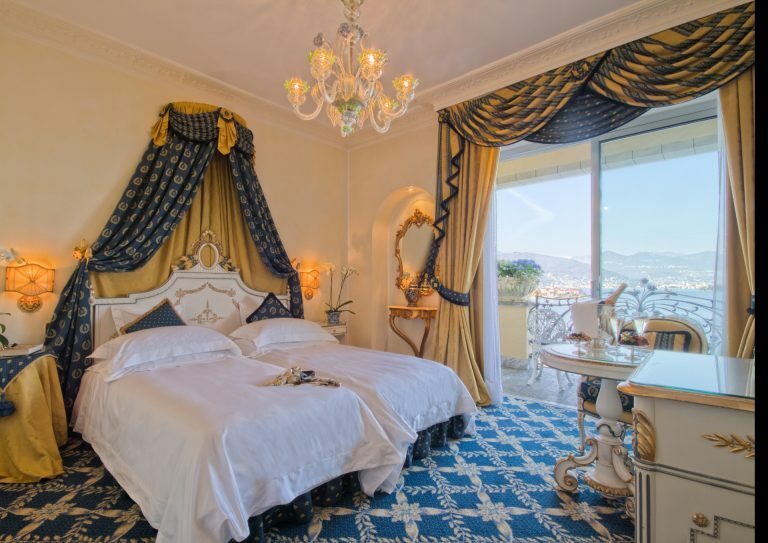 They have recently updated their suites, and favorites are the Belvedere, Liz Taylor and La Borromea. 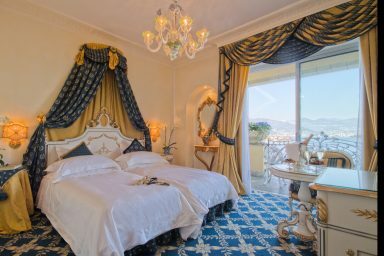 I slept in La Borromea last year, and the views were sensational. 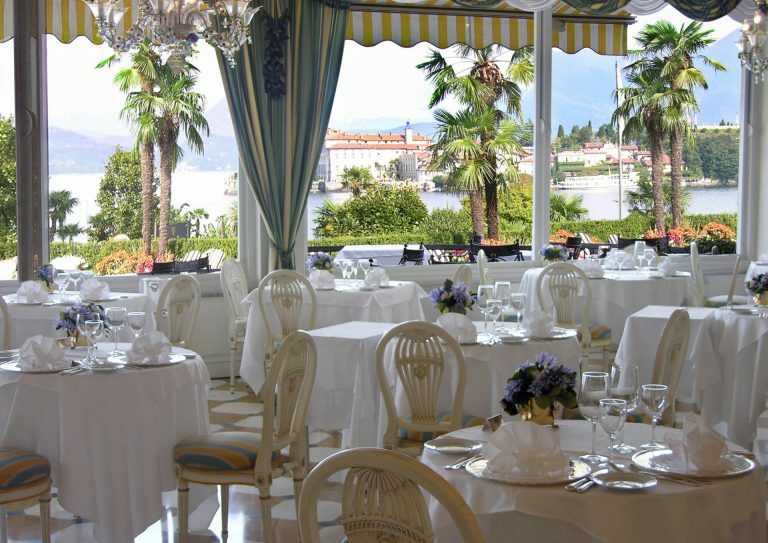 In addition to lovely dining options in Stresa, Villa Aminta has two restaurants on property. 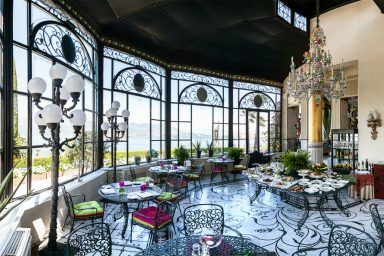 Their main restaurant with beautiful views over the lake is called Le Isole, and this tends to be more of a fine dining style. 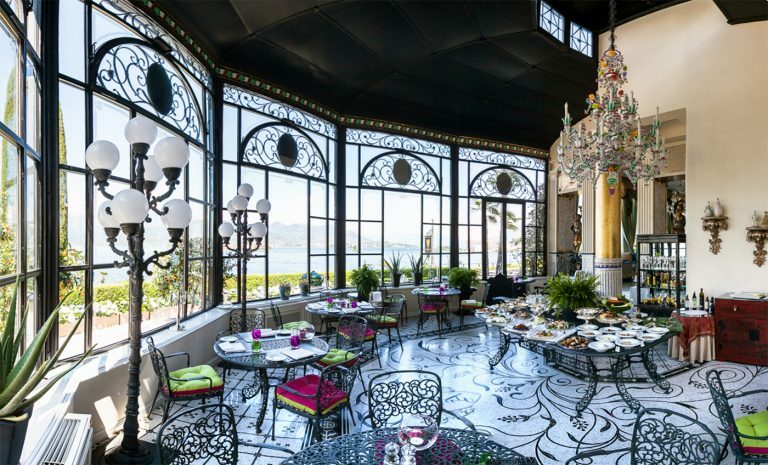 They also offer a smaller, more intimate restaurant called I Mori. 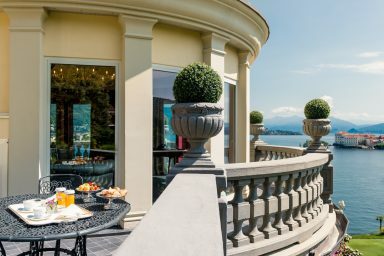 If you do travel into Stresa for a drink or a bite, I suggest a stop called al Buscion. I had some incredible Piedmont area wines here. 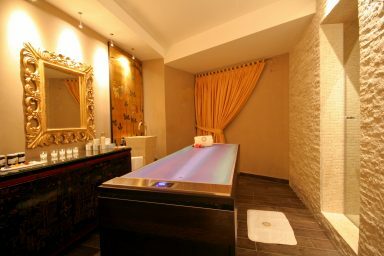 Another reason this hotel tends to be so popular is that it has one of the top spas in the region. 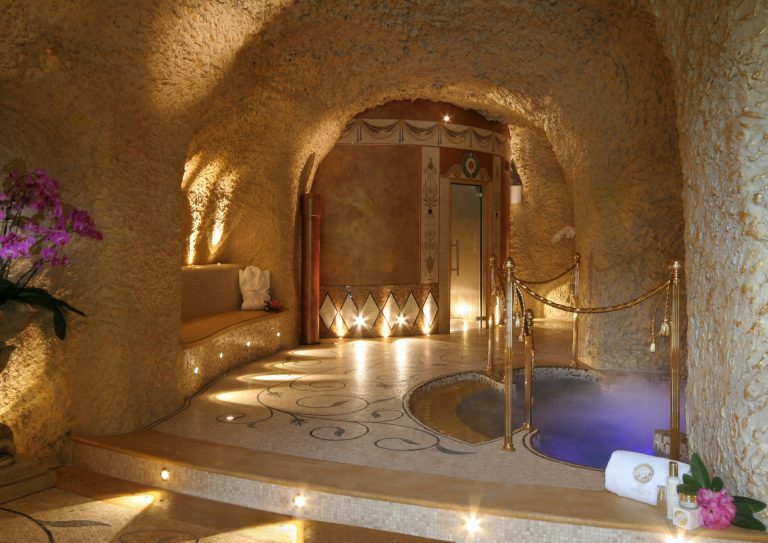 It focuses both on wellness and relaxation. 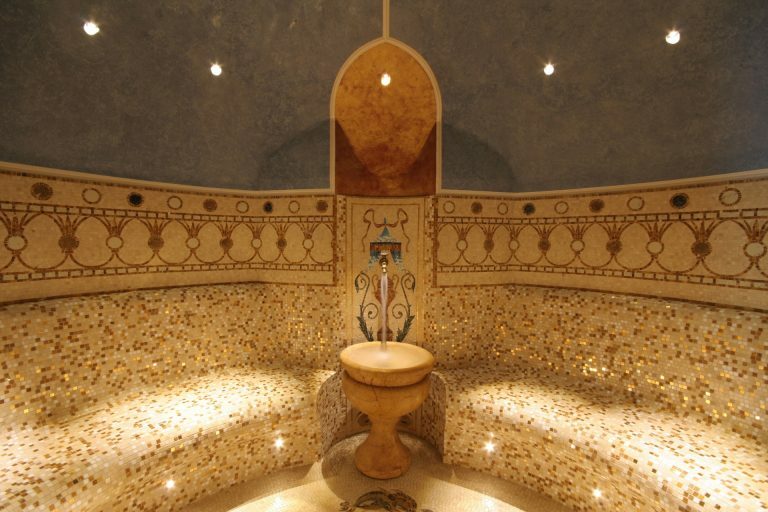 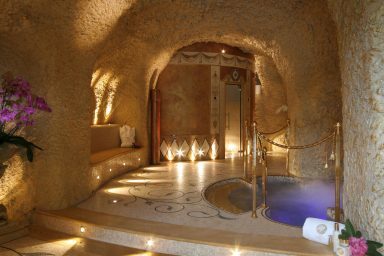 A real highlight is their very unique “Camelia’s Grotto.” Underneath the hotel is a natural cave which features many of the spa’s “wet” experiences such as their steam bath, ice waterfall, Aromarium, as well as sensory showers that alternate between hot and cold. 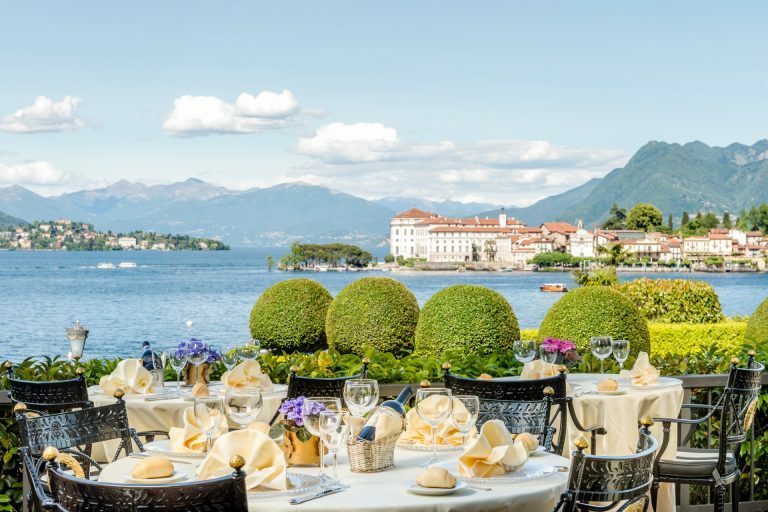 In addition to exploring Lake Maggiore, Villa Aminta is also quite convenient to Milan Malpensa Airport which is less than an hour away. 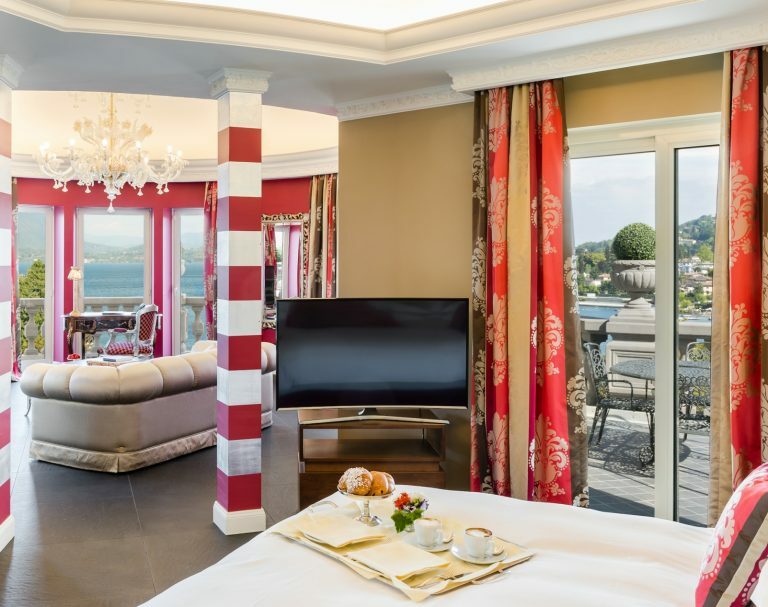 To learn more about designing an Italian adventure that features a 5-star stay at Villa Aminta on Lake Maggiore please call or email our team.